More than a century on from the Balfour Declaration, more than 50 years since the fateful war of 1967, and a full decade into the inhuman siege of Gaza—painfully, absurdly, almost unbelievably—the Israel-Palestine conflict rolls on. Amidst a growing sense that the Palestinians’ long struggle for self-determination has reached a crossroads, if not an impasse, this volume takes stock, draw lessons from experience, and weigh paths forward. Moment of Truth seeks to clarify what it would take to resolve the Israel-Palestine conflict, to assess the prospects of doing so, and to illuminate what is possible in Palestine. It assembles an unprecedented wealth of expertise—encompassing political leaders, preeminent scholars, and dedicated activists from Israel, Palestine, and abroad—in direct critical exchange on the issues at the heart of the world’s most intractable conflict. Has Israel’s settlement enterprise made a Palestinian state impossible? Can the Palestinian leadership end the occupation? Is Israel’s rule in the Palestinian territories a form of apartheid? Could the US government force Israel to withdraw? In a series of compelling, enlightening, and at times no-holds-barred debates, leading authorities tackle these and other challenges, exposing myths, challenging preconceptions, and establishing between them a more sober and informed basis for political action. Contributors: Musa Abuhashhash, As’ad Abukhalil, Mkhaimar Abusada, Gilbert Achcar, Ghaith al-Omari, Ghassan Andoni, Usama Antar, Nur Arafeh, Shaul Arieli, Arie Arnon, Tareq Baconi, Sam Bahour, Sari Bashi, Shlomo Ben-Ami, Suhad Bishara, Nathan J. Brown, Diana Buttu, John Dugard, Michael Dumper, Hagai El-Ad, Richard A. Falk, Norman G. Finkelstein, Neve Gordon, Ran Greenstein, Yoaz Hendel, Jamil Hilal, Khaled Hroub, Amal Jamal, Jan de Jong, Leila Khaled, Raja Khalidi, Rami G. Khouri, Lior Lehrs, Gideon Levy, Alon Liel, John J. Mearsheimer, Jessica Montell, Rami Nasrallah, Wendy Pearlman, Nicola Perugini, William B. Quandt, Mazin B. Qumsiyeh, Glen Rangwala, Glenn E. Robinson, Nadim Rouhana, Sara Roy, Bashir Saade, Robbie Sabel, Dahlia Scheindlin, Daniel Seidemann, Michael Sfard, Muhammad Shehada, Raja Shehadeh, Sammy Smooha, Mark Tessler, Nathan Thrall, Ahmed Yousef, Ido Zelkovitz. Jamie Stern-Weiner is a graduate student in Middle Eastern Studies at the University of Oxford. A dual British-Israeli national, he is a freelance researcher and editor and was founding co-editor of New Left Project. A simple observation, that ought to astonish more than it does: the Israel-Palestine conflict continues. 2017 marked the centenary of the Balfour Declaration, the United Kingdom’s pledge of support for a “national home for the Jewish people” in Palestine, which might fairly be said to have inaugurated the national conflict there. It was the seventieth anniversary of the United Nations Partition Plan, which provided for a resolution of the conflict by means of dividing Mandatory Palestine into a Jewish and an Arab state. The proposed boundaries have since shifted in Israel’s favor, as military victories have imprinted on law and politics, but the two-state solution remains the international consensus framework for a peace agreement. June 2017 completed a half-century of Israeli military rule over the West Bank, including East Jerusalem, and the Gaza Strip: an occupation that has persisted for nearly three-quarters of Israel’s lifespan as a state, and which has dominated and constrained the lives of multiple generations of Palestinians. The high-water mark to date of the Palestinian struggle for national self-determination—the first intifada—erupted three decades ago, in December 1987. The lessons and legacies of that heroic defeat form a red thread running through the debates and discussions that follow. Finally, and perhaps most pressingly, June 2017 marked ten years of the siege of Gaza, which, together with the periodic military assaults to which that territory and its people have been subjected, has shattered Gaza’s society and all but extinguished its economy, along with a great many of its inhabitants. If this chronological survey does not give the reader pause, if the breath and heart remain steady as the eye slips from “centenary” to “half-century” to “decade,” this is because the Israeli-Palestinian conflict has endured so long that it has acquired about it an air of timelessness, and normalized into background noise. Global economic crises come and go; devastating wars scar and reconfigure every quarter of the Earth; expansive empires disintegrate and the world’s population of sovereign states more than triples; violence and inequality induce the most massive demographic movements in human history; a momentous opposition of superpowers emerges, ossifies, then abruptly collapses; ideologies mobilize tens of millions in sacrifice and struggle, and are then defeated or discredited; the living standards of billions are transformed beyond reckoning; humanity alights on alien worlds and extends its gaze to the very origins of the cosmos. . . and throughout it all, the conflict between Palestinians and Israelis, in a speck of land scarcely larger than West Virginia, rages on; a miserable constant in a world of flux, perpetuated by its own motion and engulfing generation after generation in gratuitous suffering. All the historical landmarks surveyed above merit reflection. But not all are equally salient, and one’s distribution of commemorative energy is not politically innocent. This volume’s focus on the Israeli occupation that began in 1967 reflects its editor’s belief that an end to the occupation would represent an important milestone in the Palestinians’ quest for freedom, and, furthermore, that the occupation’s demise is a prerequisite for more far-reaching, if still always and only partial, advances toward justice. It also reflects a political judgement that supplanting foreign military rule with self-determination and statehood in the Occupied Palestinian Territory is at present the most ambitious objective around which Palestinians and their supporters can effectively organize. 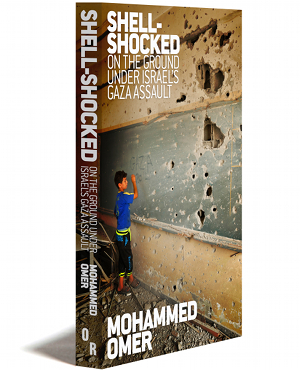 These assessments are increasingly controversial, at any rate among the conflict’s activists, participants, and close observers, and the reader will find that many of the book’s contributors reject them. The aura of permanence which surrounds the Israeli-Palestinian conflict carries with it the twin risks of complacency and despair. This volume was inspired by the conviction that the more appropriate response is sober reflection to guide political action. 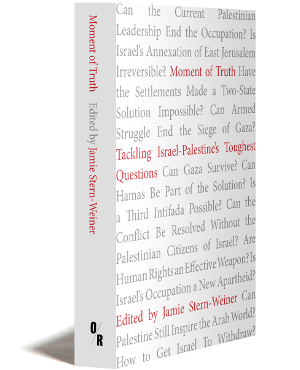 As Israel’s occupation enters its sixth decade, and amidst a growing sense that the Palestinian struggle has reached a crossroads, if not an impasse, this collection takes stock, draws lessons from experience, and weighs paths forward. It seeks to clarify what it would take to resolve the Israel-Palestine conflict, to assess the prospects of doing so, and thus to illuminate what is and what is not possible in Palestine. 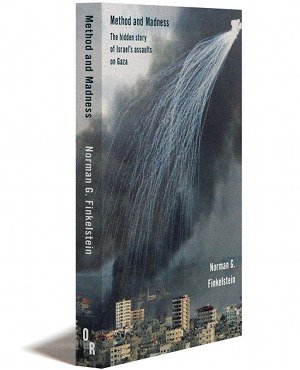 The book’s structure, which brings together conflicting arguments in critical exchange, reflects the dispiriting truth that, notwithstanding decades of struggle and endeavor, by Palestinians first and foremost, the occupation is today more entrenched than ever, while the prospect of Palestinian self-determination has never been so remote. This is a record that should inspire intellectual humility as well as political urgency; a readiness to acknowledge that, on myriad questions bearing on the prospects for resolving the conflict, compelling arguments can be advanced from multiple sides. There is, to my mind, an intrinsic pleasure to be had in witnessing good arguments collide—albeit one tempered in this case by the knowledge that the discussions and debates which follow bear, even at their most seemingly technical or abstruse, on matters of immense and protracted suffering. Critical exchange—“the rough process of a struggle between combatants fighting under hostile banners”—is also the most reliable path humanity has yet discovered to an accurate picture of the world. At a moment when few of us, Palestinians perhaps least of all, can afford the luxury of delusion: let the struggle commence.